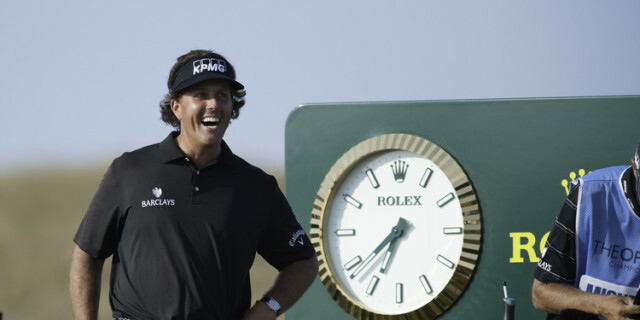 It had been nearly five years since he brilliantly secured the Claret Jug at Muirfield, but Phil Mickelson's thrilling victory in the WGC Mexico Championship may signal a winning renaissance for the five-time major champion. Long regarded as being the most purely entertaining of golfers, the game's ultimate showman rolled back the years to overcome reigning PGA and FedEx Cup champion Justin Thomas on Sunday, ending a lengthy drought that he could scarcely believe. There had been opportunities between those titles. The Californian finished runner-up to Rory McIlroy at the 2014 PGA Championship, in a tie for second behind Jordan Spieth at the 2015 Masters, and most notably narrowly losing to Henrik Stenson following an astonishing duel at Royal Troon in 2016 - the finest major battle of its kind since Jack Nicklaus and Tom Watson at Turnberry four decades previously. Mickelson has battled health issues, been engulfed in financial controversy, and battled against the natural progression of time, but he has endured when others have fallen away. Indeed, having just avoided falling out of the world's top 50 recently, the three-time Masters winner is now back inside the leading 20, restoring himself as a likely member of Jim Furyk's Ryder Cup team later this year. Rather than a late career triumph, now with 43 wins on the PGA Tour, Mickelson is plotting to remain a relevant force for some time to come. When reminded by the Associated Press' Doug Ferguson on a potential target of reaching the half century of titles, Mickelson confidently interjected: "Oh, I will get there. I don't know [when]. Seven more wins and I'll be there. I don't have the month or the time, but I will get there." The first of those may come at Augusta National - a creative playground that matches his sensibilities: "I needed to get a win before Augusta so I wasn’t trying to win for the first time in four-and-a-half, five years at that event," he added. Winner in 2004, 2006 and 2010, Mickelson has been a perennial contender in Georgia, and will be among the outside favourites when the game heads down Magnolia Lane in a month's time. Despite approaching his 48th birthday, fairytale authors will be championing the idea of Mickelson overcoming the history of six-runner-up finishes to finally win the U.S. Open, this year at Shinnecock Hills - one of the several venues to have spurned him. That would complete the career Grand Slam, an even more remarkable achievement considering he was 33 when he won his first major. It remains a fantasy, but one tantalisingly closer to reality than before. This success wasn't a flash from nowhere. He finished T-5th, T2nd, and T6th in his three events before Mexico. Mickelson has been building towards another win, and the modern great will be feeling uninhibited to add to that tally in the weeks and months to come. Golf is fortunate to be blessed with many impressive and accomplished young stars, but there is nothing more poetic than seeing an old master emerge to compete right alongside them. 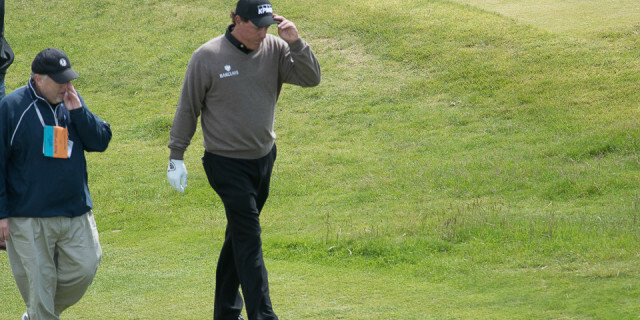 Since he won on the PGA Tour as an amateur in 1991, we have learned to never bet against Phil Mickelson, who proved once again that the ultimate gambler can still roll the dice with the best.